German discount Supermarket LIDL, targets Gloucester Township’s Nike Missile Base for US entry. UPDATE: We have made a correction to the property location discussed here in the article. There are two Nike properties and we initially reported the wrong one. When I first saw the post at GloucesterTownshipNews I spent an hour or more trying to corroborate the location of the Nike base, as it seemed odd that the store was not going in on Cross Keys road. Well it IS going on Cross Keys Road! I had found other sites that indicated the base being behind the Acme store but actually that was the Radar station. The missile base was directly on Cross-Keys road, NEXT to Acme, and across the street from Shop-Rite… and this is where we believe LIDL is considering putting in a store. We apologize for the error, and we are updating the story here. Regional blog GloucesterTownshipNews.com drew our attention to the Gloucester Township Council meeting agenda for April 25, 2016 where it lists a referendum authorizing the agreement of sale of a portion of the old Nike Missile base to German Supermarket Chain LIDL. While they reported Nike property as being located behind the Cross-Keys Acme supermarket, we believe it is the property NEXT to the Acme running along Cross Keys Road (which is a much better location for a store), and across from the Shop Rite. LIDL? Earlier this year, several news outlets stated that one of the largest food retailers in the world (and based in Germany) was poised to make its move into the US, and was targeting locations in New Jersey as a key entry point. NorthJersey.com wrote back in January 2016, that the model for stores is similar to Aldi, but twice the size offering more selections. LIDL also prefers building their own stores, and would be looking for land to build. TalkBusiness.Net has additional details on the business model, including the success the company has been having outside of the US. Nike Missile Base? The Nike project was first proposed in 1945, as a series of line of site anti-aircraft missile defense system. The Nike bases were small installations strategically placed to protect the United State’s largest assets (such as Philadelphia) from a foreign aircraft invasion. Several locations in our area that you drive by every day, housed missiles! Other areas included Pitman, Berlin, Vineland, and Erial/Sicklerville. The program was put into place quickly, but just 20 years later in 1974, all of the bases were closed. As indicated by this Gloucester Township PDF, there are TWO properties associated with the Nike missile program. The Nike Radar station property is located behind the Cross-Keys Acme Supermarket, and is currently owned by Gloucester Township and totals 47 acres. But the second property was the actual missile launch site and totals 18 acres, and sits right on Cross Keys Road, NEXT to Acme and across from Shop Rite, and this is where we believe the LIDL deal is taking place. According to a well respected Nike history website, the Gloucester Township location was one of the most important as it housed missiles (Ajax and Hercules) and also had sophisticated radar. Back in the 80s, I may have toured this facility when it still had buildings there, and the underground missile silo was still somewhat in tact. Today the property is cleared. 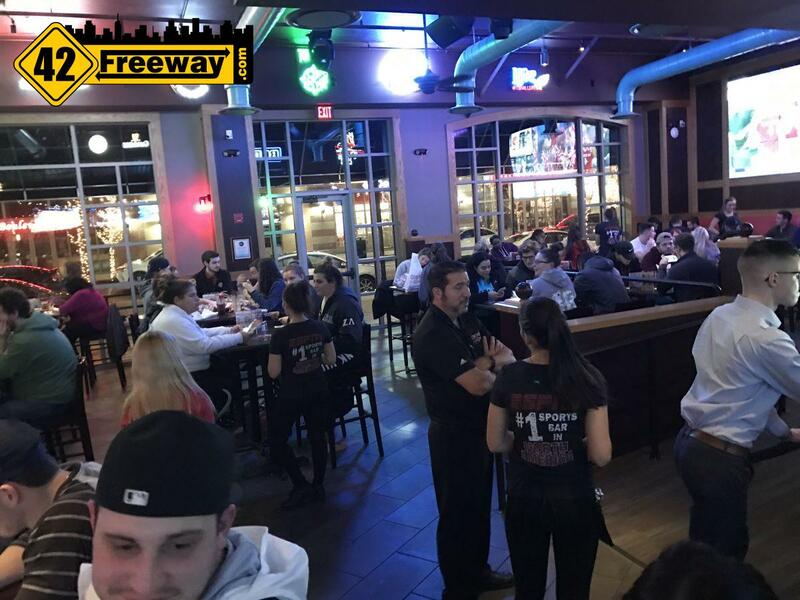 Several years ago Gloucester Township purchased the property from the government with the idea of cleaning it up and reselling to commercial developers, with the goal of increasing tax revenues. Gloucester Township openly promotes its commercial tax incentive programs, which include a 5 year scaled tax break and a PILOT tax program which offers a payment in leiu of traditional taxes. Add in the fact that the land is owned by the township, and it could make the Nike property an attractive situation for Lidl with a town leadership in a position to make deals. If the Lidl store were to be built, it would be another big development win for the Cross-Keys section of Gloucester and Winslow Townships, which has recently seen a new Hobby Lobby, Carmax, PDQ Chicken and many other new businesses on the Winslow side. It’s location on Cross-Keys road in close proximity to two other Supermarkets will make it a very competitive area for food shopping. Additional internet searching indicates that Lidl is also looking at properties in Burlington Township and Hamilton Township (Atlantic County) as locations for additional stores. Deptford Clements Bridge Road Project Update: Deptford Movies, Inspira Medical, and Super Wawa! 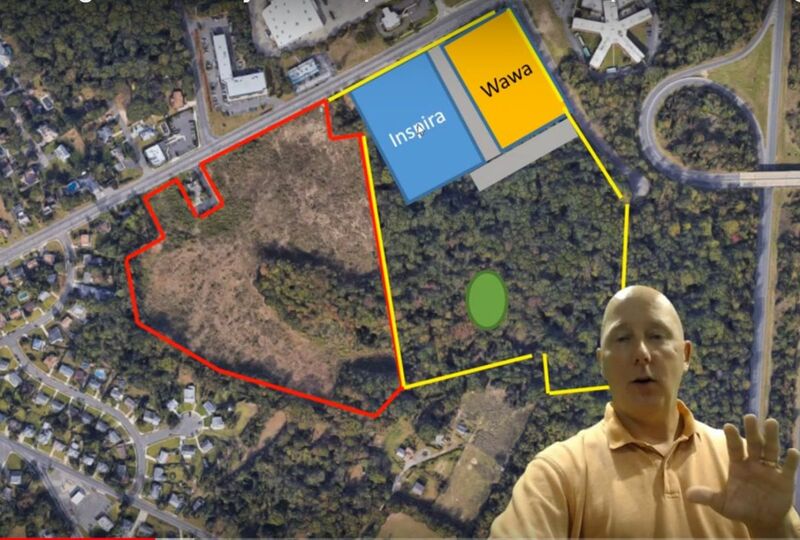 It was intended to be a presentation of the plans for a new Super Wawa on Clements Bridge Road, and it turned into discussions on the Inspira Project and the Deptford Movies Project. We had a chance to chat with the Deptford Movies owner! The core of the information is in a way too long commentary video, but it covers several previously unknown items, development challenges and solutions, the desire for new roads, and additional details on the Inspira Project. Can’t we get a Trader Joes in Glo Twp??? previous post: Inspira HealthPark coming to Deptford? Inspira buys 30 acres next to long delayed Movie project.